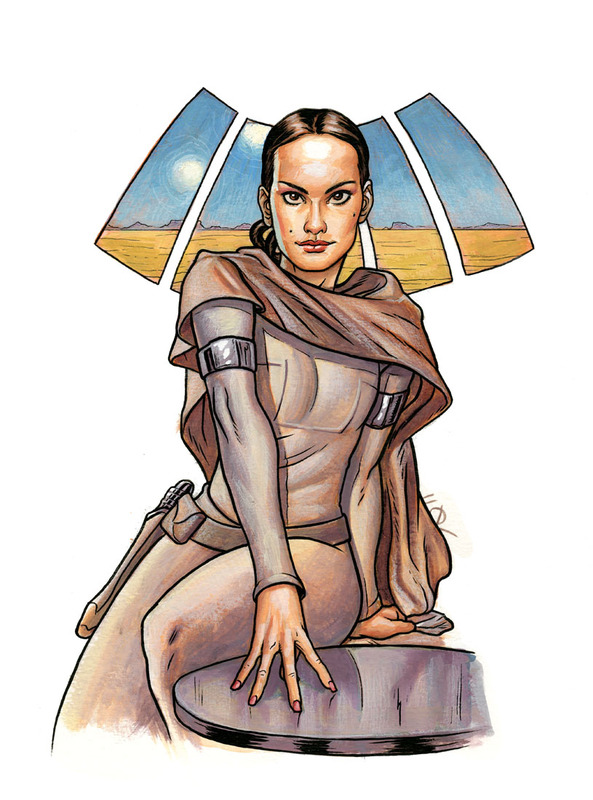 Joe Quinones' interweb-log: "Where Is Padme?" The above depiction of everyone's favorite Star Wars character, portrayed by Natalie Portman, is a left over from this year's Emerald City Comic Con. The fellow who had commissioned it was very patient, allowing me to take the piece, which I'd started in Seattle, home with me to finish up. I finally got around to doing just that. John, I hope you like it! And while we're on the topic of comic conventions, Boston Comic Con is only a few short days away! I will be in attendance there this Saturday and Sunday, where I will be selling originals, prints, and t-shirts, as well as taking on commission requests. You can find me at table 502 in Artist Alley, seated beside super rad comic artists, Maris Wicks and Liz Prince (at table 503). There's a huge list of artists slated to attend, including Mark Chiarello, Stéphane Roux, Frank Quitely, Neal Adams and more! It's an exciting lineup, and promises to be a really fun con. All sketches will be drawn on 9" by 12" bristol or watercolor board. If you're interested, check out the 'commissions' tab on the side for more samples of what my con sketches look like. Okee Doke, that's all for now. Hope to see you this weekend!